3,441 Red Light Camera intersections. 1,847 Speed Cameras. Skip the phantom warnings and formerly enforced alerts. We keep POI Factory's camera files freshly updated with changes across USA and Canada. Reports from POI Factory's user community are carefully checked, and we're very selective about what gets added or removed. POI Factory's camera files work with Garmin or Rand McNally GPS models. Showing street names in the alert helps you know which intersections have cameras. We include street names for every camera site. Files are in CSV format and ready to load with Garmin's POI Loader software or Rand McNally's Dock software. POI Factory looks out for changes to give you the best information available. You can gain access to download this file by participating on the site and earning active user status, or you can help support POI Factory with a $9 or $20 membership and download today. You can use the link in your confirmation email to access the subscription download page. For assistance, please use the Contact Form to send us an email. 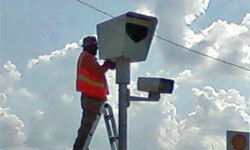 Camera Files | What communities are included in the red light cameras file? Garmin Alerts | How do I load custom alert sounds for POIs on my Garmin GPSr?